– with FaceAware,Spark lifts off from your hand by recognizing you. 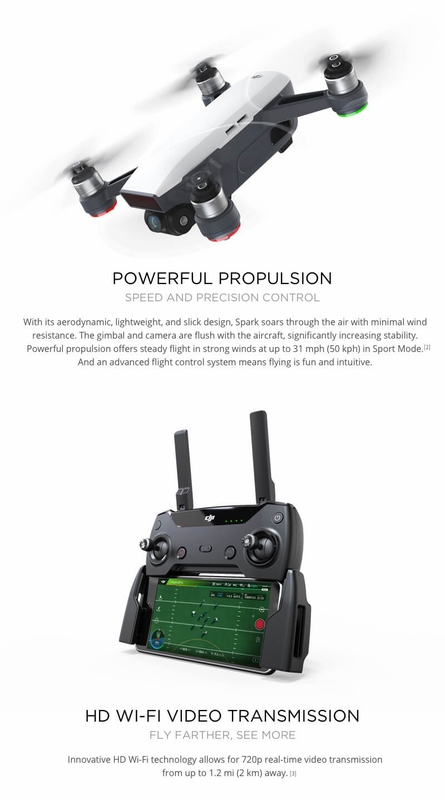 It take off and hovers in place within 15 seconds of powering on. 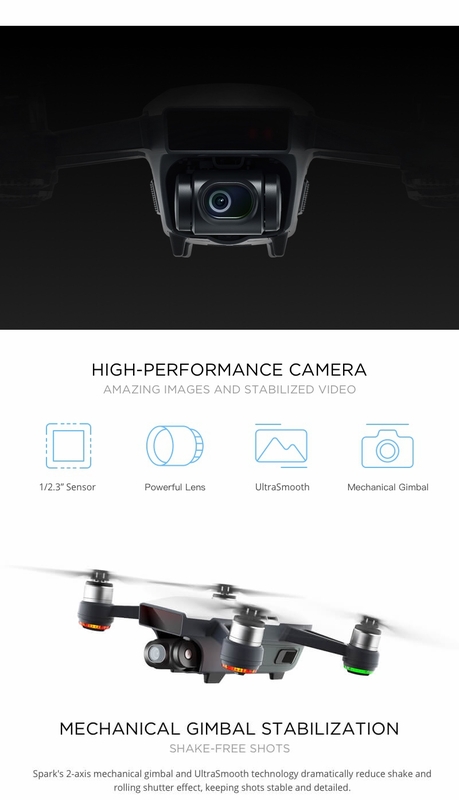 – Quickshot help you shoot amazing footage with cinematic composition. 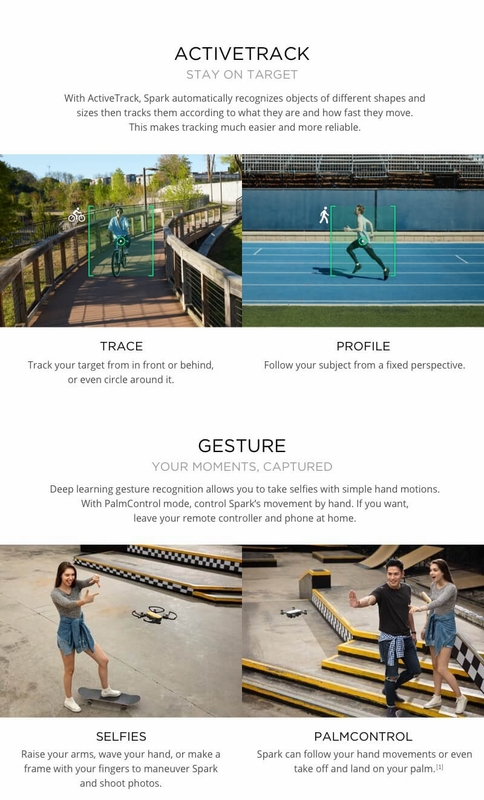 – Gesture controlled, allows you to take selfies with simple hand motions. 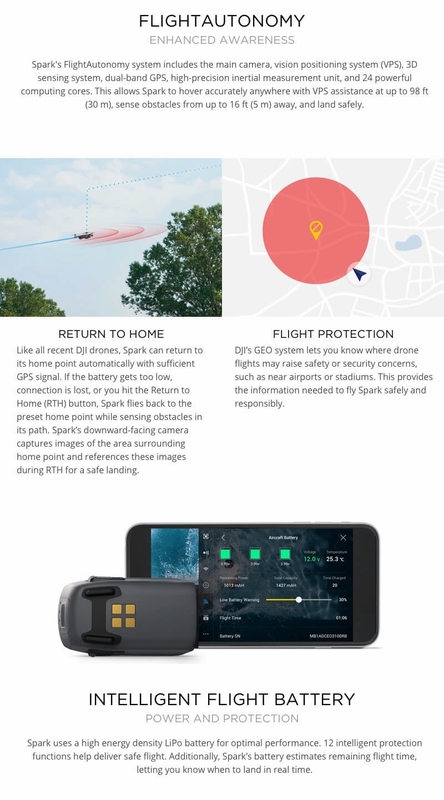 – Spark's 2-axis mechanical gimbal and UltraSmooth technology dramatically reduce shake and rolling shutter effect, keeping shots atable and detailed. 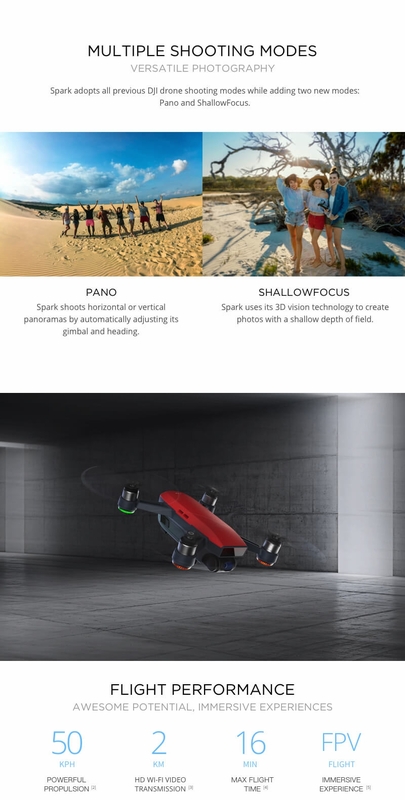 – Spark's camera features a 1/2.3 inch CMOS sensor, allowing you to shoot stabilized video at 1080p and stills at 12MP. – Innovative HD Wifi technology allows for 720P real-time video transmission from up to 2km away. 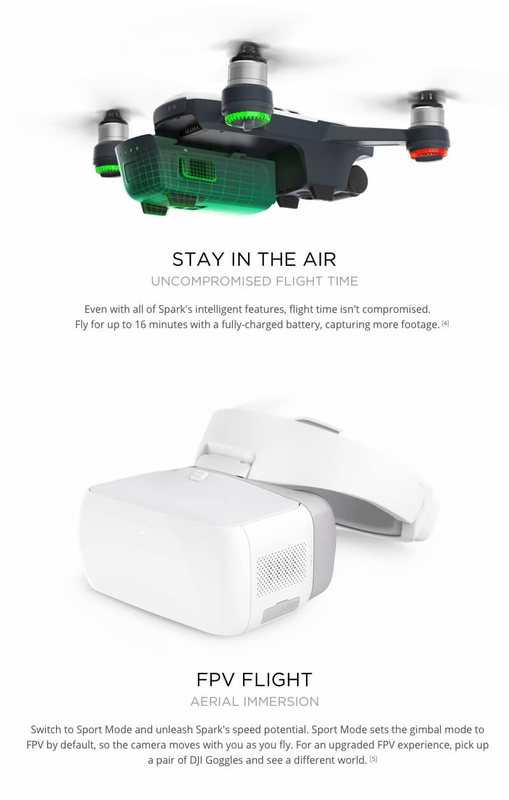 – Uncompromised flight time up to 16 minutes with a fully-charged battery, capturing more footage. – Available in five colors: Alpine White, Sky Blue, Meadow Green, Lava Red, and Sunrise Yellow. – Two version for select: SPARK Fly More Combo(RTF), SPARK Only(BNF).